The Beyoncé extravaganza on Saturday—whatever it is!—will be free for all. No need to perform an extremely shameful favor for some free HBO or mooch off a friend’s subscription. The generous socialists at HBO are offering customers a free preview weekend of both HBO and Cinemax, which is something the network does occasionally, but also likely something the invisible force of the BeyHive has willed into existence. 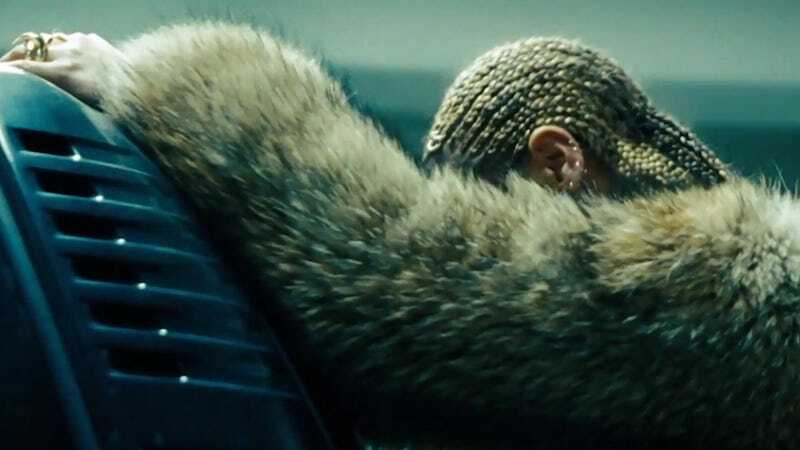 Beyoncé’s hour-long Lemonade... thing... premieres on Saturday at 9 p.m. It’s rumored to be either a series of videos (aka a visual album) or various shots of Beyoncé laughing manically at the screen for an hour. You don’t have to do anything to get it. Just turn on your TV. Also premiering: Jurassic World, Game of Thrones and Silicon Valley.